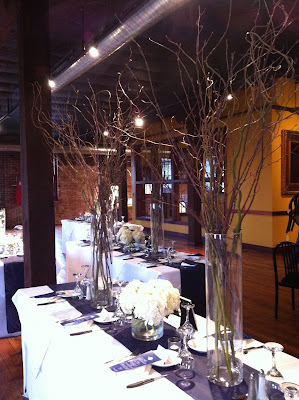 This was a very chic winter wedding where the bride and groom had general ideas but really let the team at Sisters Design Studio propose the elements of the decor. 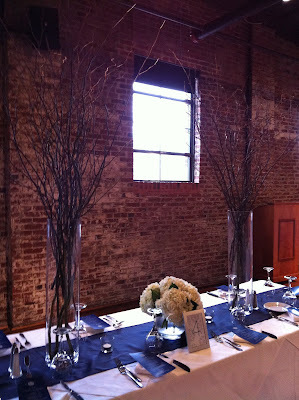 The idea was to have a very winter white setting with bare branches and blue accents found in the stationary and linens. Both the ceremony and reception were in the same room at Moulin. 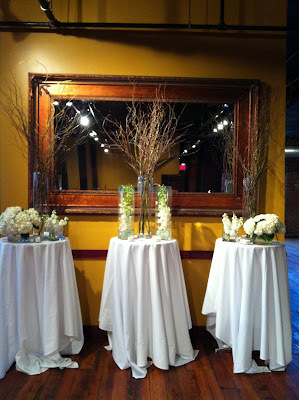 These are our own shots of set-up. 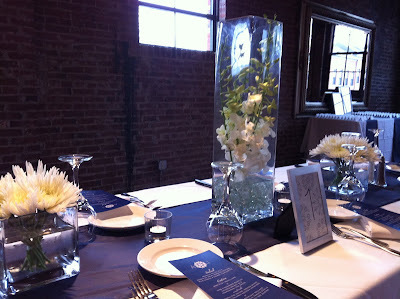 All the guest tables were long and sat people all the way around. 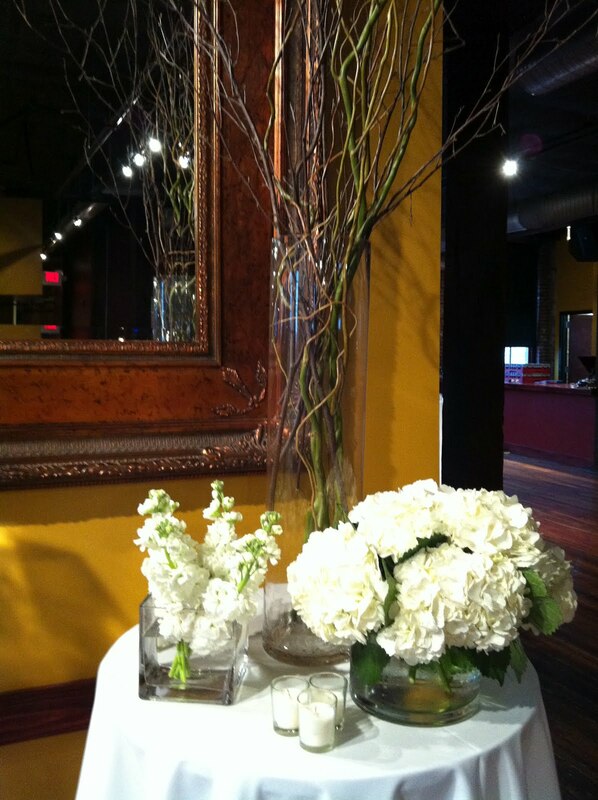 We came up with three different table layouts mixing white flowers and branches throughout the room. The ceremony was held in the same room, just off to the side, in front of this beautiful mirror. The wonderful staff at Moulin provided some small tables for us to place several of the guest table elements. 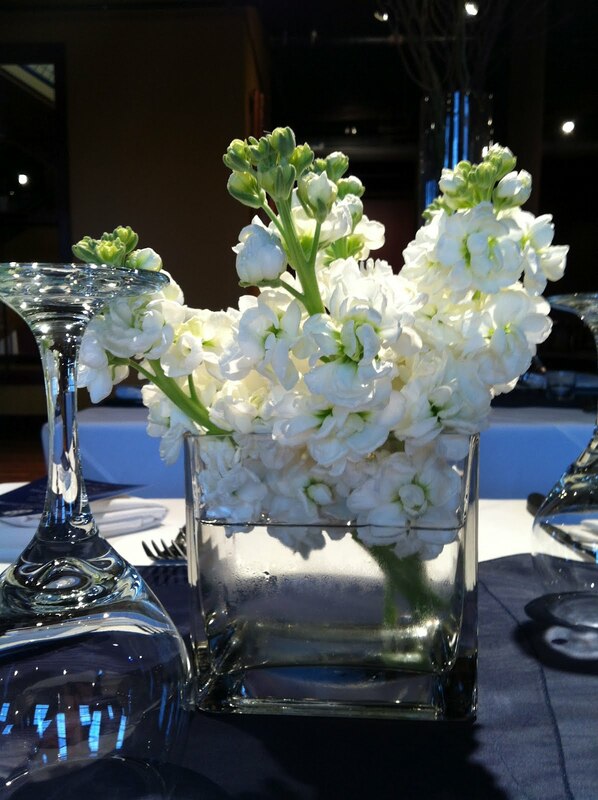 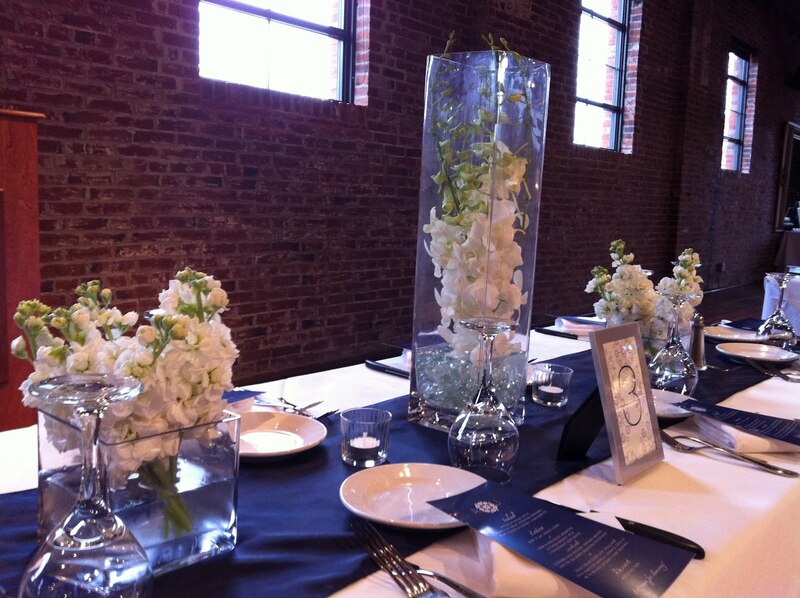 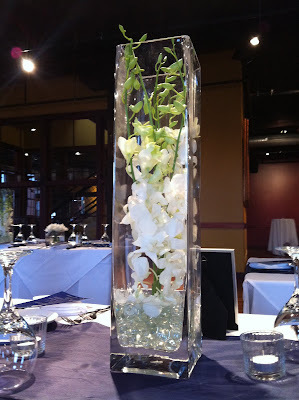 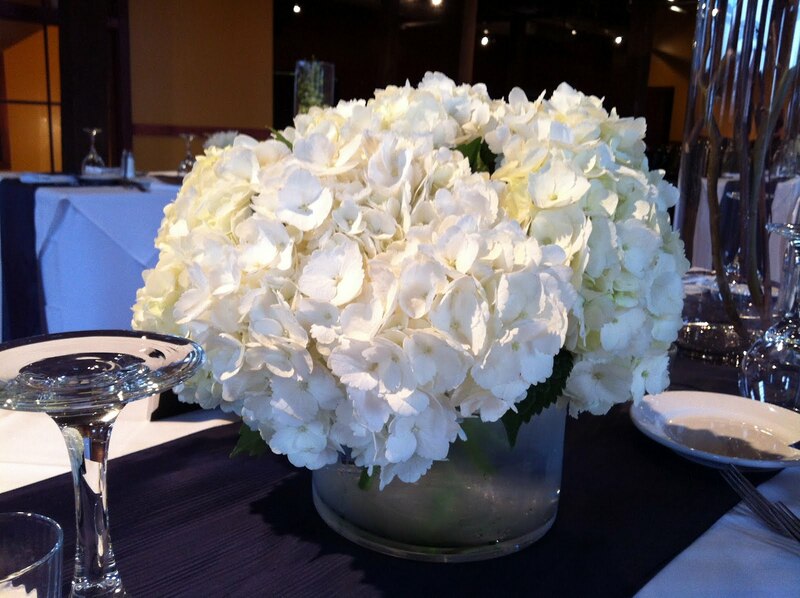 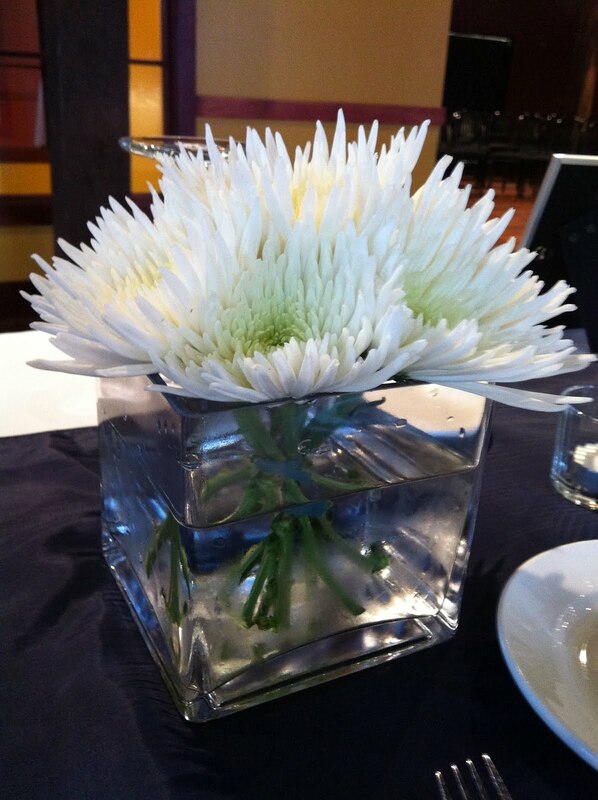 These vases doubled beautifully as ceremony decor and were then moved to the guest tables after the vows. 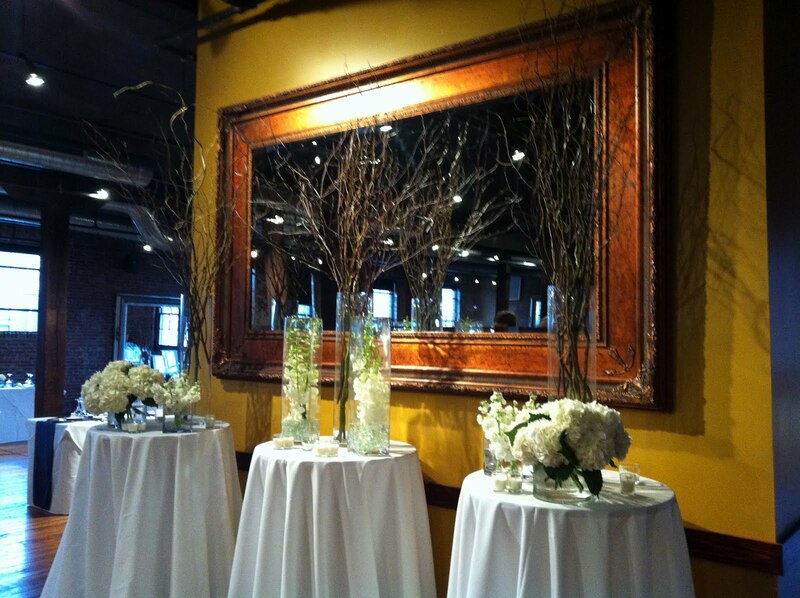 We have done many events in this space at Moulin, but these elements really transformed the look of the room for the bride, groom, and their guests.